Each town has its own history, own pattern and rhythm of life. There is no other town in Romania so worth visiting. Constanta of today sits on the tomb of the old town, Tomis. One of the legends of this historic place says that the beautiful Medea, the princess of Colchis (nowadays Georgia), flees from her parents, taking with her, the little brother, Absirt. Offended by her deed, Aeetes, her father follows her ship and almost catch it when Medea, frightened, kills her brother, cuts up his body and scatters the parts on the sea to delay him and escape from his anger. The unhappy parent stops his ship every time he sees parts of his beloved son. Overwhelming with all the pieces, Aeetes moors the boat to bury the son. This shore, the city that rose then here, has been called Tomis which in Greek language means piece. Many faces have been seen in this little corner of the world, on the western coast of the Black Sea. At the beginning, the Phoenicians settled down here, the ones who dominated trade in the first millennium B.C. and those who usually get credit for the first alphabet which became the basis of the Roman alphabet, the one we use today. Later, the Greeks came, followed by Barbarians, all kind of and altogether looking for the „golden fleece” (http://www.mythencyclopedia.com/Fi-Go/Golden-Fleece.html). Lives over lives have settled down on this coast in three thousand years, and storms after storms have haunted and shook their settlements from foundation. Ancient inscriptions, ruins of the houses, temples and baths that were digging beneath the coast show and demonstrate the flourishing state that Tomis had it once. A strong and civilised life sprouted here, and who knows where it would have been today if it was left alone. And nothing more, the Barbarian streams started to flow, flooding and devastating, destroying the Roman reinforcements, placing the fortress into the ground and transforming centuries of work of so many nations into dust. From the ruins of Tomis, the Roman Emperor Constantine the Great rose Constanta, to whom later the Genovese sailors gave it for a while, the old glamour and the commercial significance. 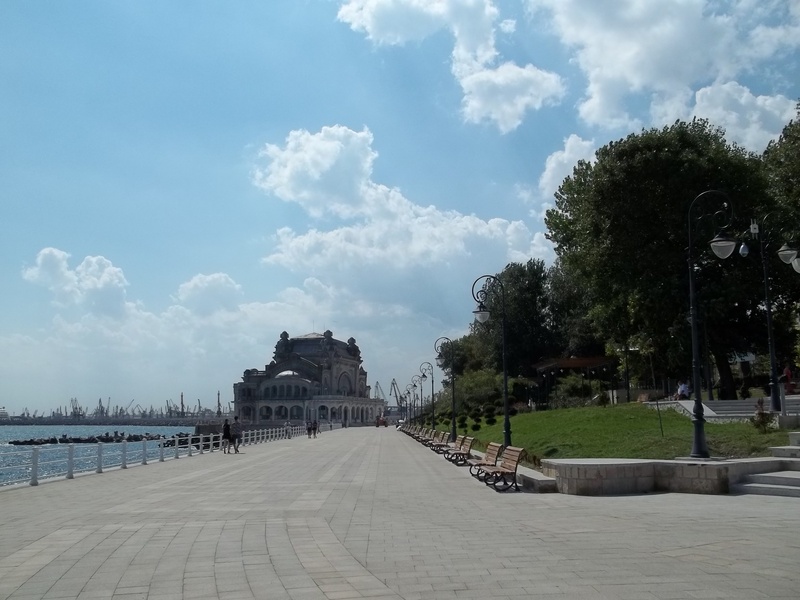 Then Constanta fell under the Turkish rule; the pier and the dams which guarded the town were left to time. 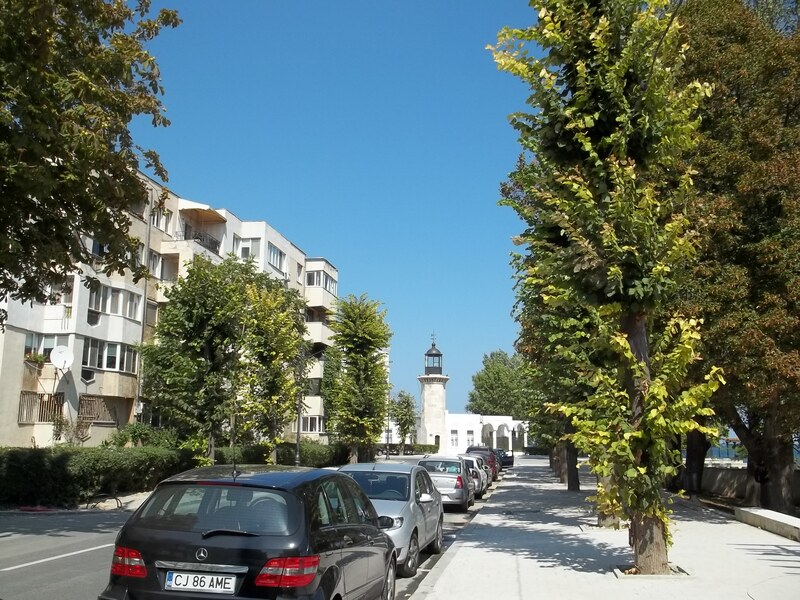 The beautiful building of the port have been sacked, the city’s life began to yearn – a deeply and upsetting sleep, like a slavery spread over the entire Dobruja. Waves of the sea mourned the ending of a world. As well here, Ovid mourned his exile from Rome, the famous poet was sent to Tomis be the Emperor Augustus in the year 8 of AD. Foreign, ill and misunderstood he doesn’t find in his broken soul, one word of praise neither for the land nor for the people of Tomis where, he is condemned to live, later to die. Into his verse the chill wind of the great winter howls until it freezes the sea, he longs and sighs, missing his wife, friends, homeland, a Rome always beautiful and smiling from where he had been expelled for an eternity. The locals honor him by naming a town, an island, a university, a school and a square – Ovidiu and also a statue was dedicated to the Roman poet Ovidius Publius Naso. In Romanian literature, Dobrogea would have been called by Mihail Sadoveanu – the country of the changes. People and landscapes have changed here from century to century. Scythians, Dacians, Romans, Greeks, Mongols, Slavs, Turks Tatars, Goths, Italians and Bulgarians left a print over the time of this territory. Our ancestors have lived here since times out of mind, their roots are as deep as those of the fir-trees and just like the fir-trees they love the sunshine of life. But the storms bring not despair. The storms have passed over the Romanians like winds which pass over the mountains, leaving traces but never succeeding in moving them. The ancient Tomis reborn as a phoenix sees proudly over the endless kingdom of the sea. From the bank adorned with bright villas start huge dams, strong arms of stones, blocking the rage of the billows and keeping the sailors away of troubles. 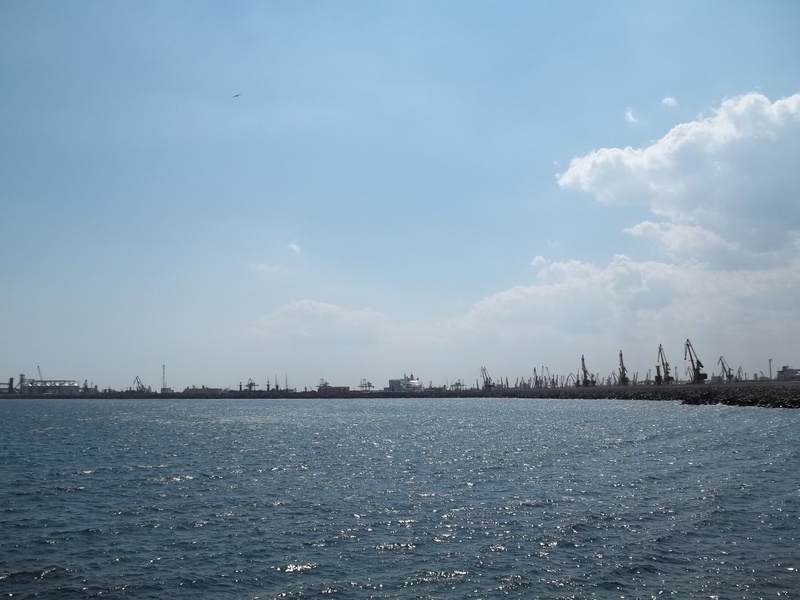 Constanta is largest port of the Black Sea and the fourth largest port in Europe ranked after Rotterdam, Antwerp and Marseille. 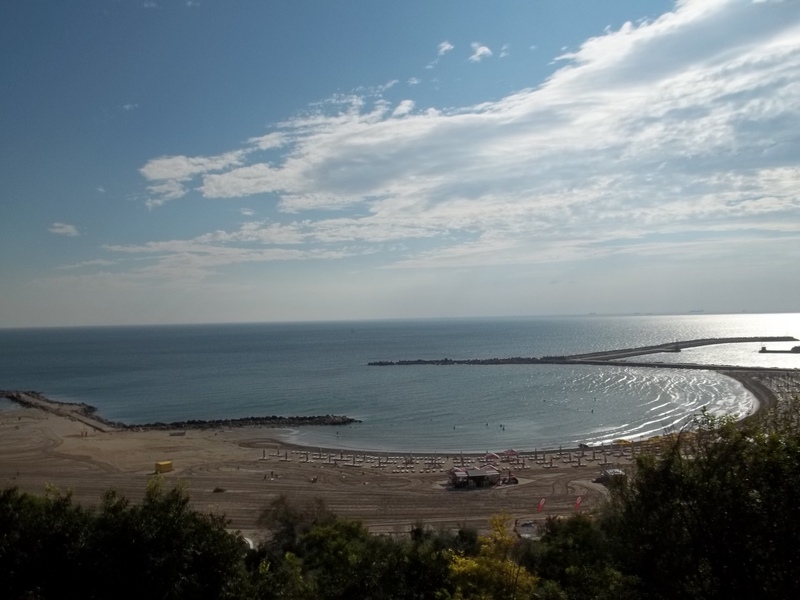 In the summer Constanta gathers on its warm beaches thousands of travellers, a majority of locals and a minority of foreign tourists. 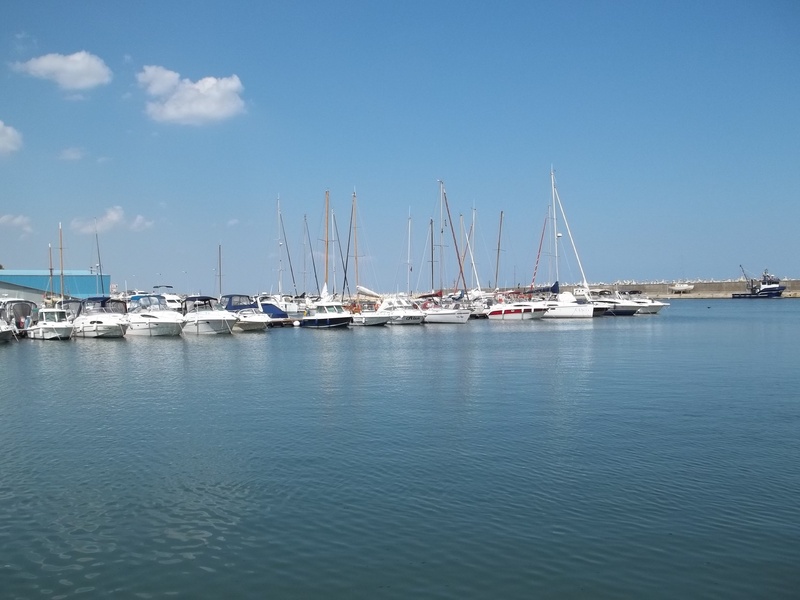 This year the city has doubled the number of the foreign tourists as the cruise liners chose to avoid Odessa, Sebastopol. Constanta is easily reached by air (Constanta Mihail Kogalniceanu International Airport – CND located 15 miles from downtown) by land or by sea from any point in Europe. Why choose to holiday in Romania would be a fair enough question to ask. First the country it’s packed with history, folk tradition and it has a great variety of landscapes. The temperate climate shows the country at its best in all four seasons. Second, hospitality is a standing characteristic of the Romanians. 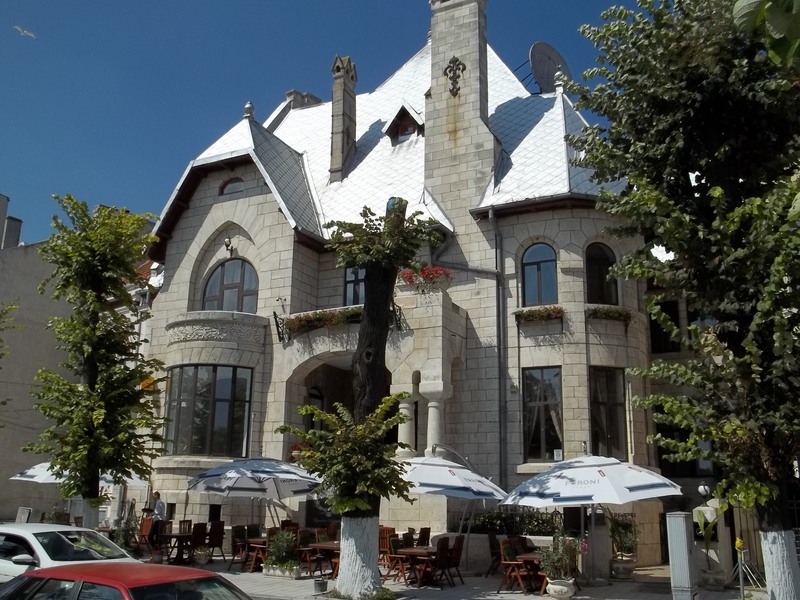 For a future planning regarding Constanta here is a helpful link with landmarks and places to visit http://romaniatourism.com/constanta.html. From the link above in my opinion the ruins of Histria built in the 7th century B.C. is a must for every real traveller. Besides those points of attraction, you also can enjoy a retro style parade on the seaside, a full day of Jeep Safari in Danube Delta, the horse ride at Mangalia, a cruise in the Danube Delta, sailing on the Bleak Sea, a wine tasting at Murfatlar Winery and not in the last you can be a guest to a traditional wedding – Romanian cuisine, music and dance, wines and specific Dobrogrean atmosphere. Let’s not forget about Kayaking on the Black Sea, Scuba Diving, and Scenic air tours and Tandem skydive. 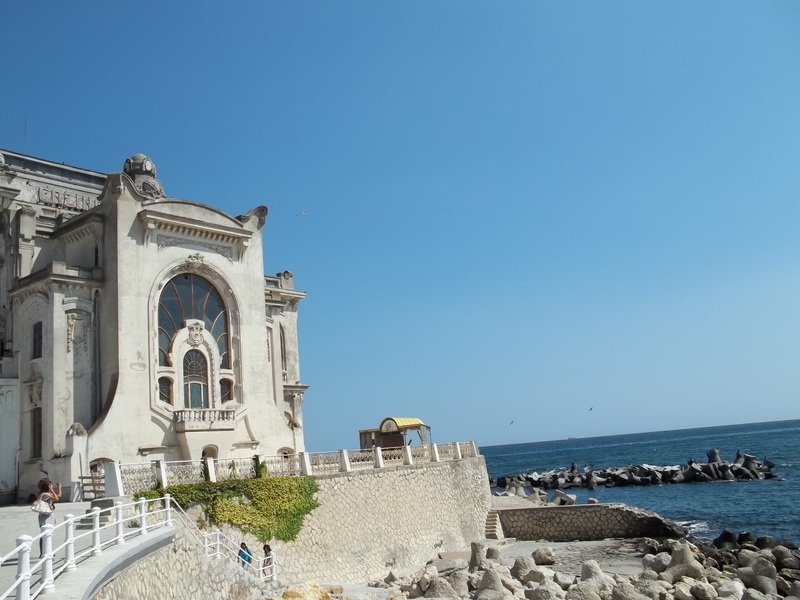 If you are a type who loves action and if you travel from aboard with all these activities and places to visit none can guarantee that few days are enough for a holiday in Constanta. From my pictures you can catch a glimpse of the new city and maybe you get intrigued and curious and wish personally to discover its ancient traces. Therefore let me on behalf of all Romanians to say “Bun venit” and let this post be a standing invitation to you to visit Romania.